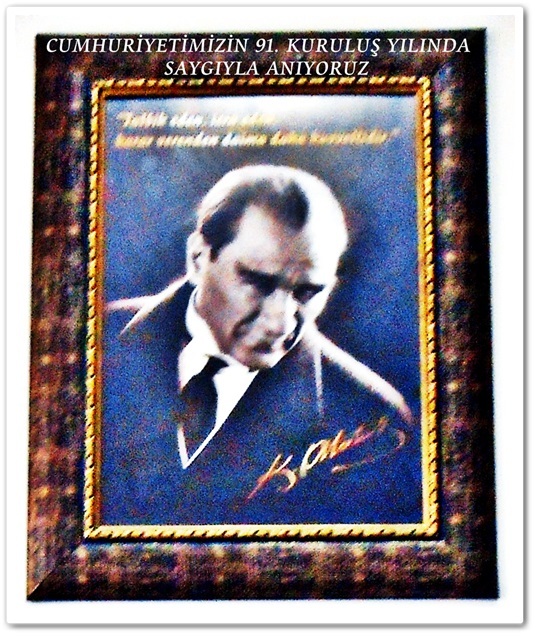 BU ALBÜM 29 EKİM 1923 - CUMHURİYETİMİZİN 91 KURULUŞ YILI ANISINA DÜZENLENMİŞTİR. 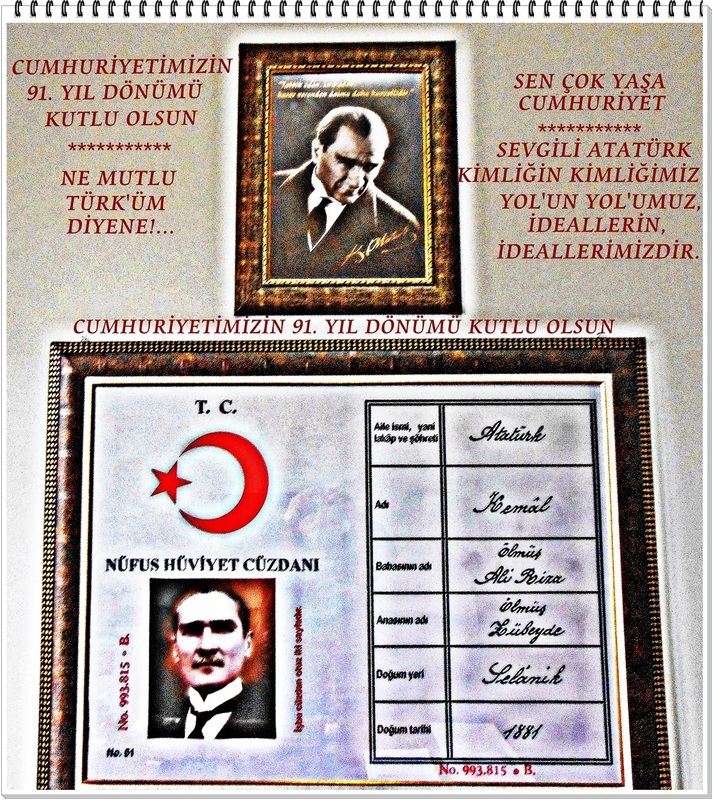 ATA'MIZIN BİZLERE EMENETİ OLAN CUMHURİYETİ KORUMAK VE KOLLAMAK TÜM YURTSEVERLERİN SORUMLULUĞUDUR. 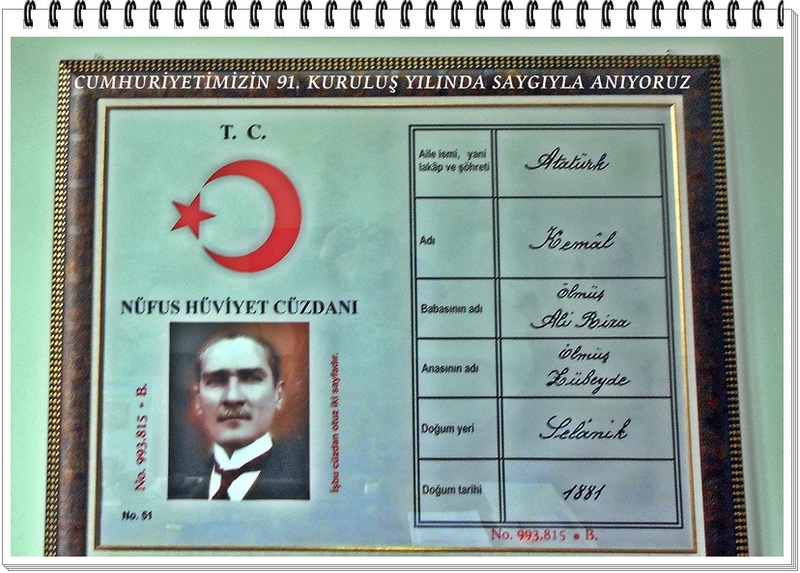 BUNUN BİLİNCİNDE OLARAK BU KURULUŞ YILINDA SEVGİLİ ATAMIZI SAYGI VE RAHMETLE ANIYORUZ.